Heat a heavy - bottomed pan and dry roast the lentils, red chillies and black pepper along with a pinch of asafoetida powder. Keep the heat low and stir constantly to avoid burning. Serve it with hot steamed rice with a dollop of ghee. Loved the look of the podi. Looks wonderful. Nice podi. 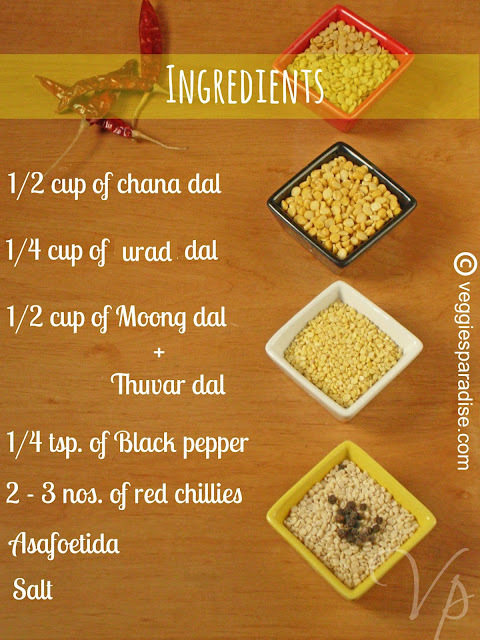 I add curry leaves and fried gram too. delicious podi. really apprecite if u stop by at my sapce too. 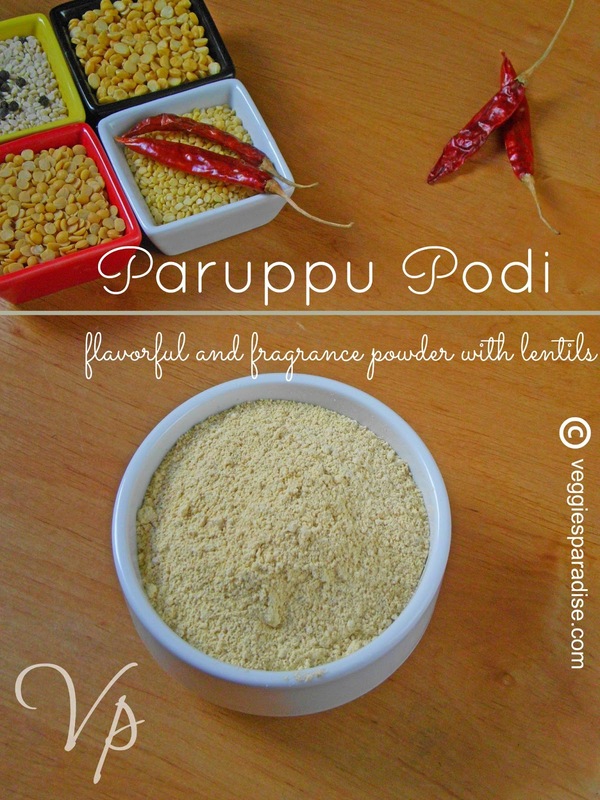 Loved this healthy and delcious podi.bookmarked. yummy parupu podi of which I am an ardent fan. Hot rice topped with ghee and paruppu podi,heaven on earth..love it. loved this flavorful and healthy podi..
flavorful podi, love to have some with rice and ghee.. and nice pics. Very handy instant podi. Luv your version too. Planning to prepare for a long time.Bookmarked and neat presentation. nice presentation dear :) liked your version..
Love the clicks. 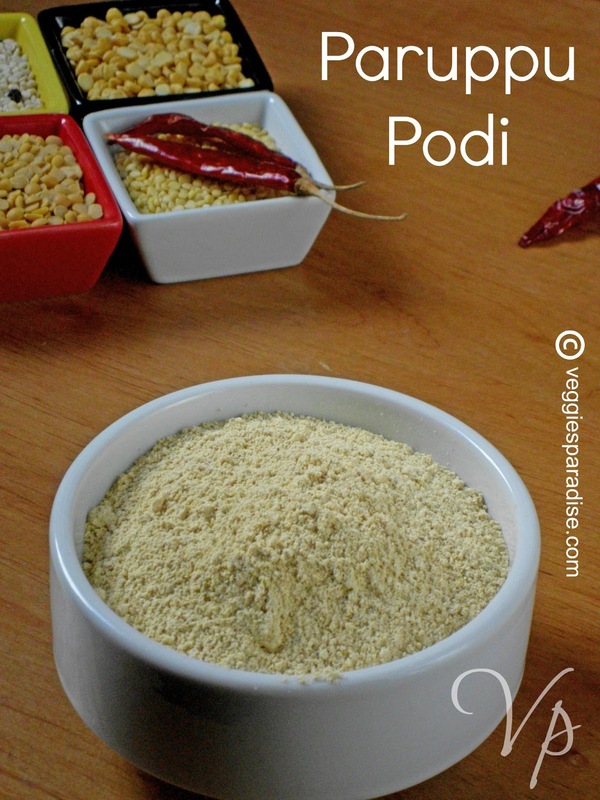 The podi sounds so very delish! Favourful podi nicely presented.The pics are looking very nice. We usually have this with very thin mushy rice preparation with ghee and salt. this dal mix powder combination is new to me and sounds very healthy, thanks for sharing. Thanks for your feedback Aruna. You have a lovely veggies delight blog...I love to follow your blog.